Forza Horizon 3 could have competed for a spot in the Christmas Buying Guide 2016. Unfortunately the PR and Marketing for Microsoft failed Family Friendly Gaming. Forza Horizon 3 can compete next year then. This open world racing game has done many things we asked for too. It has lessened the offensive content and become more family friendly. A great thing to see in this franchise. Forza Horizon 3 realizes it does not need enticement to lust to succeed. 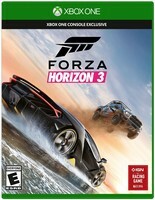 I am so pleased to see Microsoft listen and make Forza Horizon 3 more family friendly. This is something Family Friendly Gaming requested. It is always nice to see these companies listen to us and obey. I will have a review completed for Forza Horizon 3 in issue #114 of the always amazing Family Friendly Gaming magazine and e-magazine. Forza Horizon 3 has multiple difficulty settings making it approachable by families of all skill sets. The loading times can be long in Forza Horizon 3. It has to load a lot of content. As long as you enjoy racing, you should enjoy Forza Horizon 3 on the PC and Xbox One. There is no local multiplayer in Forza Horizon 3, which means a real opportunity was missed. There is an online multiplayer mode available in Forza Horizon 3. So they could do online but not regular and normal offline? How messed up is that? Forza Horizon 3 looks good and it sounds good. Thankfully the radio stations with offensive music can be turned off. There is so much to do in Forza Horizon 3. We can build events, race, find signs, find rare vehicles, and more. The open world racing franchise has returned very strong in Forza Horizon 3.